Look what came in the mail today! The File Cabinet from hell. 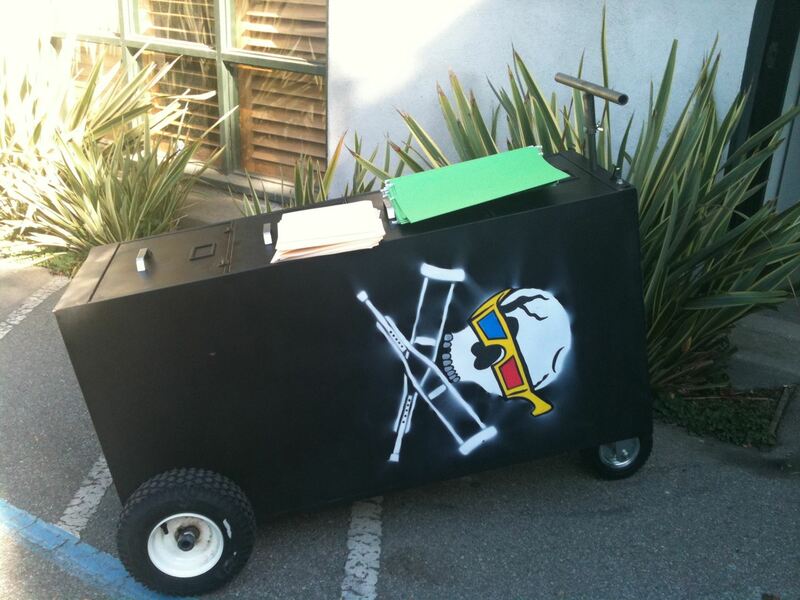 Die hard Jackass fan and file cabinet mod-junkie Jeff Dahlin tracked us down to drop off this gem at WonderHowTo HQ today. It is his official entry for the Jackass Prank Contest. 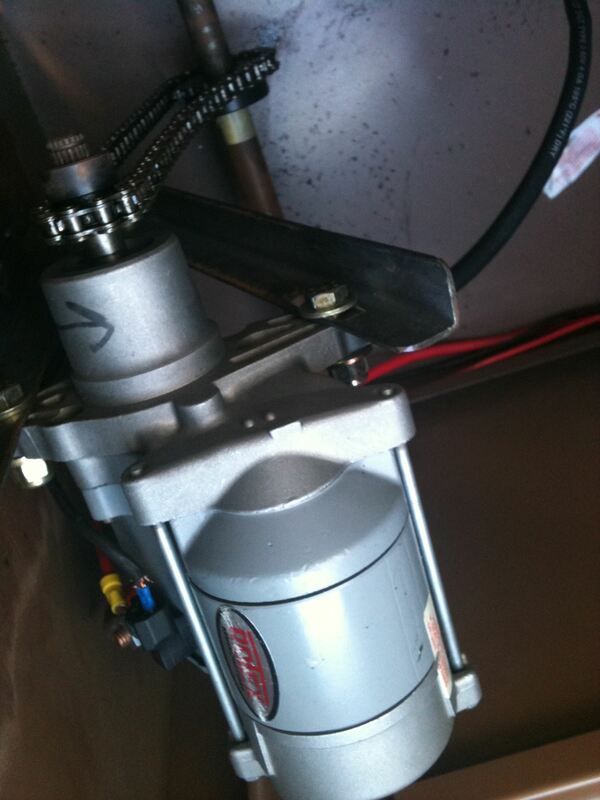 (1) It has three wheels.... so it's a tricycle?, (2) Motor at bottom; Battery at top. (3) Lots of bolts. (4) And welding. 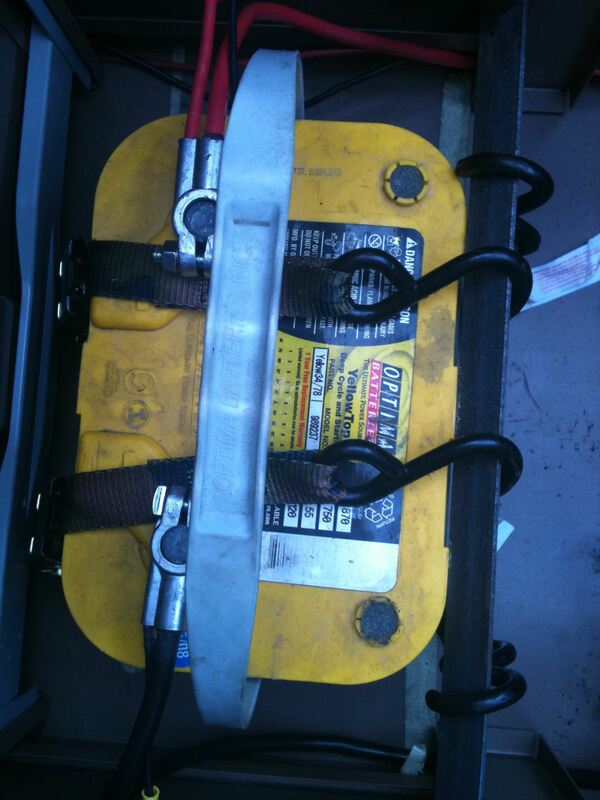 (5) At some sweet ratchet straps to secure the battery... , (6) File Cabinet from Hell with its files, folders and all. Confused? 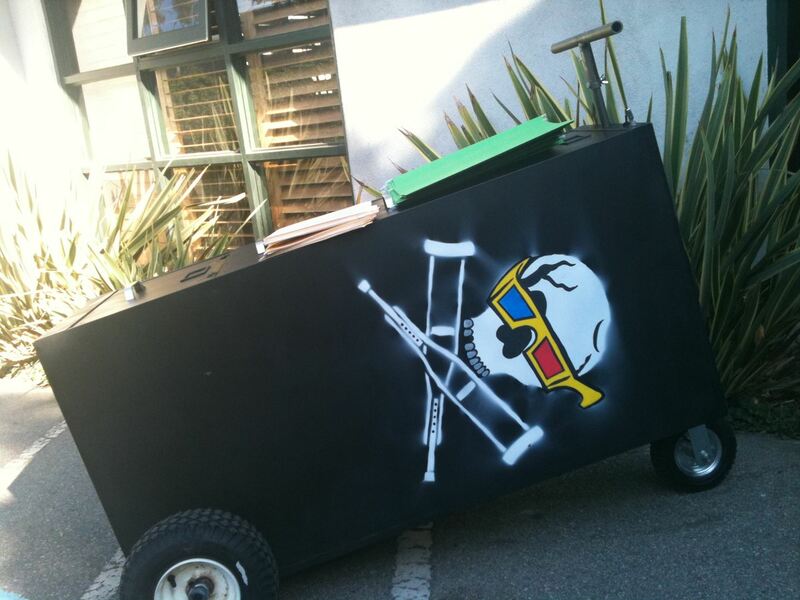 Well, it is a filing cabinet (obviously) that is rigged with a motor to go 25mph (not obviously).... This was merely his "envelope" of sorts. It was filled with 26 files (one for each letter in the alphabet) containing his various prank entries. 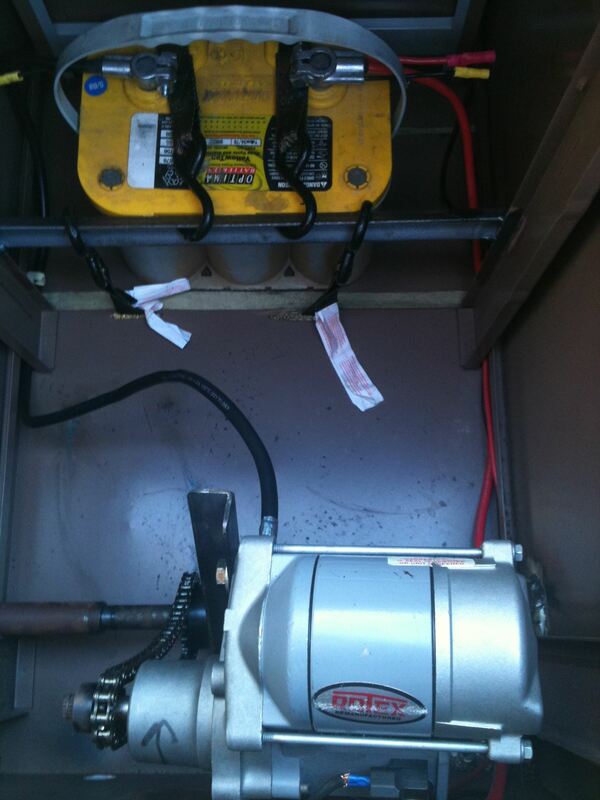 The guts of this cabinet contain a Toyota truck starter motor welded to the frame of the cabinet. A primitive chain drive is attached to the motor, which is in turn attached to the axle. It is pure torque. On and off and nothing in between. For power there is a monster dry cell battery. Why dry cell? Because, stupid, if the file cabinet is upright, you will get battery acid all over your body. Jeff is a motorhead of sorts, working for car magazines in Los Angeles. He tells us he took a week off from work to build this temple of stupidity. It is so heavy, he needed a couple of his buddies to haul it into our offices. I guess this is the 'green' version of the jackass transportation department. 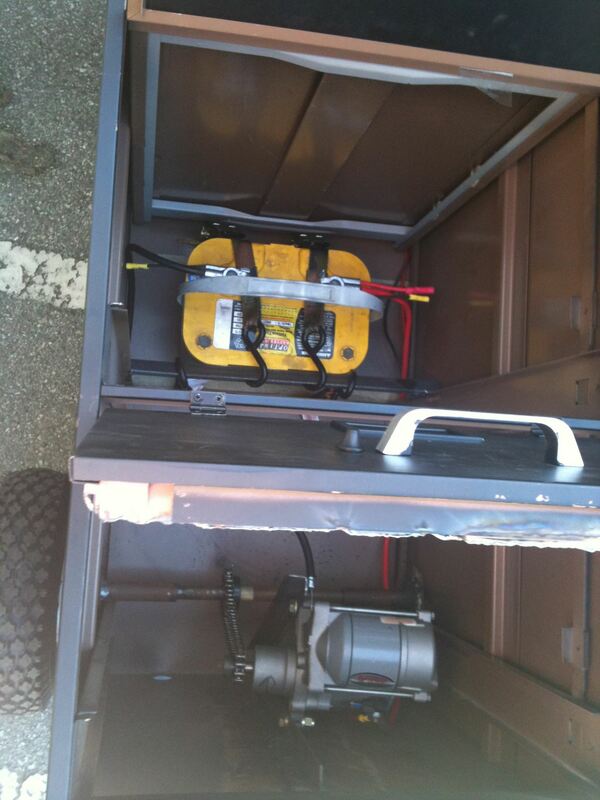 One of Jeff's prank ideas was to rig the file cabinet to give off a massive stun gun shock to the all metal chassis. I quickly looked to see if Mr. File Cabinet was so rigged. Fortunately, the shock prank was, as yet, an unexecuted concept. We almost lost the Wonderhowto CTO on this death trap. He was the first to discover it was not outfitted with brakes. Mystified passers by were taking out their camera phones in anticipation of carnage on the Santa Monica Streets. Haha....Dahlin, pranks on us! FYI, less than 72 hours left to submit to the Jackass 3D Prank Contest.... get your entries in before September 26, 2010, 11:59 PM EST.